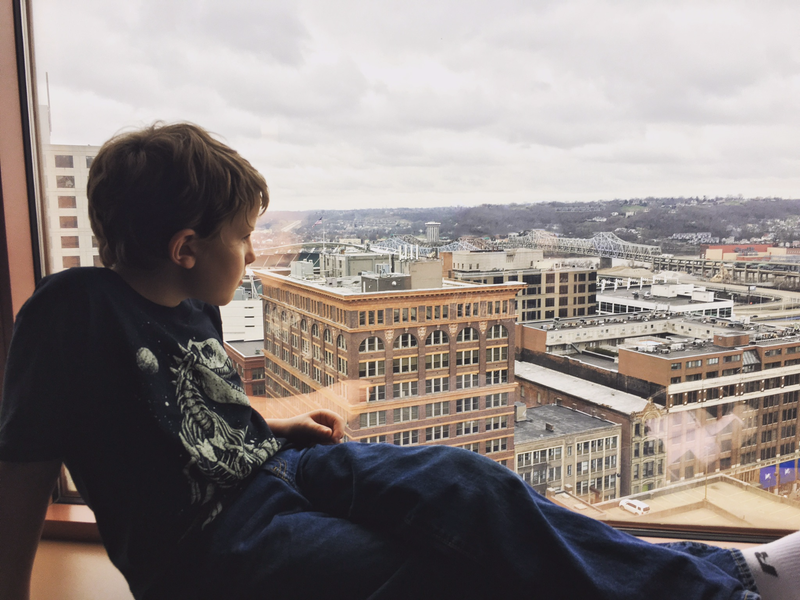 We went to downtown Cincinnati this weekend and got a nice room with a view. All I had on me was my iphone but I got some decent shots. I uploaded this shot to instagram but when I got home I realized there was a fatal flaw. My hands and my phone stand out clear as day in the reflection and it drove me nuts. I ran through and did a little work with the patch tool and some adjustment layers and I was actually shocked how well the results turned out. To clarify the bottom is the original and the top is the modified photo.